As a potent androgen, Masteron can benefit the athlete looking for a boost in strength. This can be a very beneficial steroid for an athlete who is following a calorie restricted diet in an effort to maintain a specific bodyweight necessary for his pursuit. The individual could easily enjoy moderate increases in strength and a slight improvement in recovery and muscular endurance without unwanted body weight gain. As a bulking agent, the effects of Masteron will prove to be rather week. It is possible the hormone could provide gains in mass similar to Primobolan Depot, which won’t be that strong either, if the total dose was high enough. However, the relative gain in size will be very moderate with many anabolic steroids being far more suited for this period of steroidal supplementation. There are those who may wish to include Masteron in a bulking plan for its anti-estrogenic and fat loss effects. The latter would ensure they kept their body fat gain minimized during off-season bulking phases, but this isn’t reason enough to use it in this phase. Body fat should be controllable without it. As for the anti-estrogenic effects, off-season cycles are normally comprised of large amounts of aromatase activity due to high doses of testosterone. Progesterone activity is also commonly high with the addition of Nandrolone compounds and possible Trenbolone. Consider additional Anadrol or Dianabol and this estrogenic activity can become very pronounced. Unfortunately, while possessing anti-estrogenic effects, Masteron will not be strong enough to combat this level of estrogenic activity. Masteron does not aromatize and it does not carry any progestin nature making estrogenic side effects impossible with this steroid. This means gynecomastia and water retention will not be concerns. It also means high blood pressure that is sometimes caused by excess water retention will not be a concern. An anti-estrogen is not needed due to this steroid’s use; as discussed it can have anti-estrogenic effects itself. However, depending on the specific cycle/stack that’s implemented, an anti-estrogen may be needed. The side effects of Masteron can include those of an androgenic nature. Androgenic side effects can include acne, accelerated hair loss in those predisposed to male pattern baldness and body hair growth. Thankfully this hormone carries a moderate level of total androgenic activity despite being a direct derivative of the potent androgen DHT. However, individual sensitivity will play a strong role, this steroid is well-known for greatly enhancing male pattern baldness in sensitive men far more than many anabolic steroids. An important note; the Drostanolone hormone is not metabolized by the 5-alpha reductase enzyme. This is the enzyme responsible for reducing testosterone to dihydrotestosterone. In the case of Masteron, it’s already DHT; there is no reduction. As there is no reduction, there is no metabolism and nothing to inhibit. This means the androgenic nature of Masteron will not be strongly affected by a 5-alpha reductase inhibitor such as Finasteride. Due to its androgenic nature, Masteron can produce virilization symptoms in women. Virilization symptoms can include body hair growth, a deepening of the vocal chords and clitoral enlargement. Virilization symptoms have been well-noted in breast cancer treatment plans, but this is normally due to the necessary high doses used to treat such a condition. In a performance capacity, it should be possible to use this steroid without related symptoms with a low dose. However, while individual response will dictate quite a bit, this will not be a primary recommended steroid for female athletes. If it is used and related symptoms begin to show, discontinue use immediately and they will fade away. If the symptoms are ignored, it is very possible they may set in and become irreversible. Masteron can have a significant effect on cholesterol. This can result in an increase in LDL cholesterol, as well as a decrease in HDL cholesterol with the strongest emphasis on the latter. The total affect on cholesterol will not be as strong as often found in many oral steroids, specifically C17-alpha alkylated steroids. However, the total affect on cholesterol management will be stronger than compared to Nandrolone compounds or the testosterone hormone. It is also possible that Masteron could have a slight negative impact on blood pressure, but this will be a non-issue for most. Due to the cholesterol effects of Drostanolone, cholesterol management becomes very important with this steroid. Far more important than with basic testosterone cycles or stacks including a basic 19-nor. If you already suffer from high cholesterol you should not use this anabolic steroid. If you are healthy enough for use, maintaining a cholesterol friendly lifestyle is very important. Not only does this mean a healthy diet, but it should be one that includes plenty of omega fatty acids, is limited in saturated fats as well as simple sugars. Plenty of cardiovascular activity is also advised. Masteron will significantly suppress natural testosterone production making exogenous testosterone therapy important when using this steroid. Failure to include exogenous testosterone will lead most men to a low testosterone condition, which not only comes with numerous possible symptoms but is also extremely unhealthy. 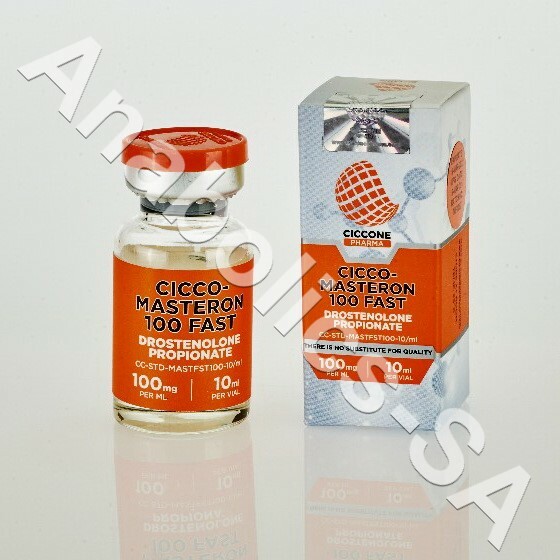 As most will use Masteron in a cutting cycle, it’s very common not to want to use a lot of testosterone due to the high levels of estrogenic activity it can provide. If this is the case, you will find a low dose of 100-200mg per week of testosterone to be enough to combat suppression and give you the needed testosterone. Once Masteron is discontinued and all exogenous steroidal hormones have cleared your system, natural testosterone production will begin again. Prior levels will not return to normal over night, this will take several months. Due to the slow recovery, Post Cycle Therapy (PCT) plans are often recommended. This will speed up the recovery greatly; however, it won’t bring your levels back to their peak, this will still take time. A PCT plan will ensure you have enough testosterone for proper bodily function while your levels continue to naturally rise and significantly cut down on the total recovery time. This natural recovery does assume no prior low testosterone condition existed. It also assumes no damage was done to the Hypothalamic-Pituitary-Testicular-Axis (HPTA) through improper supplementation practices. Masteron is not a hepatotoxic anabolic androgenic steroid and will present no stress or damage to the liver. The standard Masteron dose for adult men will normally fall in the 300-400mg per week range. Normally, this will mean an injection of 100mg every other day for a total of 6-8 weeks. This does not mean 6-8 weeks represents the total cycle, but this is a common time frame for the Masteron portion of a stack. Some may alternatively choose to split their dose up into a daily injection schedule, but every other day should suffice. If a Drostanolone Enanthate version is found, 1-2 injections per week will work, but such a version is somewhat rare.